Home - SMP Welding LLC. Dedicated to making our products precise and exactly how you want it. Established in 1984, SMP Welding’s 23,000 sq. 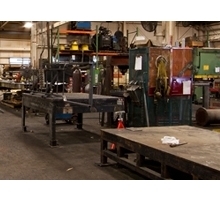 ft. shop and fabrication facility has multiple overhead cranes to handle any size project. SMP Welding prides itself on offering one of a kind solutions to its customers. With over 150 years of combined experience. Here at SMP Welding we offer services that cover any needs you have. 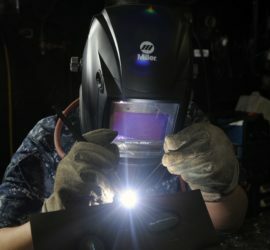 SMP Welding is versed in all aspects of welding, but also excels in all areas of industrial contracting. 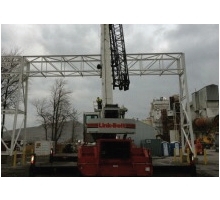 SMP Welding specializes in welding fabrication, crane, transportation, rigging and engineering services. SMP Welding provides high quality welding, fabrication and maintenance solutions for its wide variety of clients. Based in Northeast Ohio, our clients have come to trust SMP Welding with their most challenging projects, not only locally, but nationally as well. Our diversity allows us to satisfy any requirement from design, fabrication, to finished product, or any combination thereof. SMP Welding is MSHA Certified. We fully embrace our jobs as being the people you call when you need any structural, welding, major mechanical work or crane service work done right. We have over 150 years of combined experience and have built a reputation for being THE industrial services company you can trust. Our reputation can only be matched by our technical ability and work ethic. Our capabilities have set us apart from others, making SMP Welding your number one choice in welding fabrication and industrial contracting. Take the time to browse our site and discover how SMP Welding can help you complete your next project, no matter how large or small.